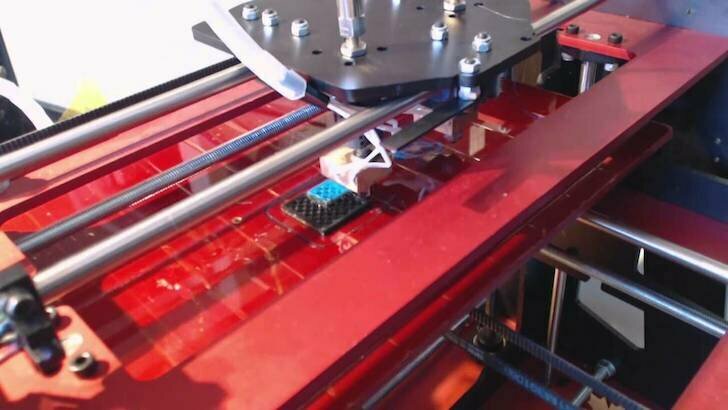 Because 3D printing is advancing at such a fast pace, those engineers are developing 5 nozzle printers. One of those printers is expected to be in users’ hands before the end of the year, and I’m not referring to the mysterious ProDesk3D. No, the first batch of the five nozzle MH3000 from Canada’s ORD Solutions is scheduled to go out mid-December. Of course, we know how many Kickstarter campaigns keep to their schedules, though it is worth mentioning that Ord Solutions already produces and sells a 3D printer, so they’ve already got suppliers and manufacturing experience. Those are prices for US backers and that includes shipping and a spool of filament for every nozzle. That’s an amazing deal. And the retail price will be higher, but for a $100 deposit backers can lock in the Kickstarter price until November 2014.